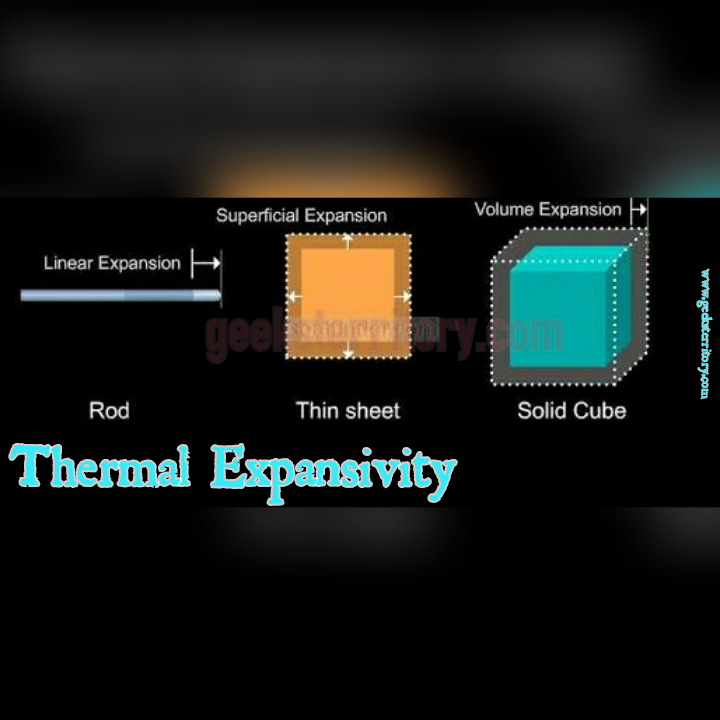 The expansion of an object is the process of increasing in size, amount or number. It is relative, when we tall about expansivity. Physics: Introduction to radioactivity,types and properties. 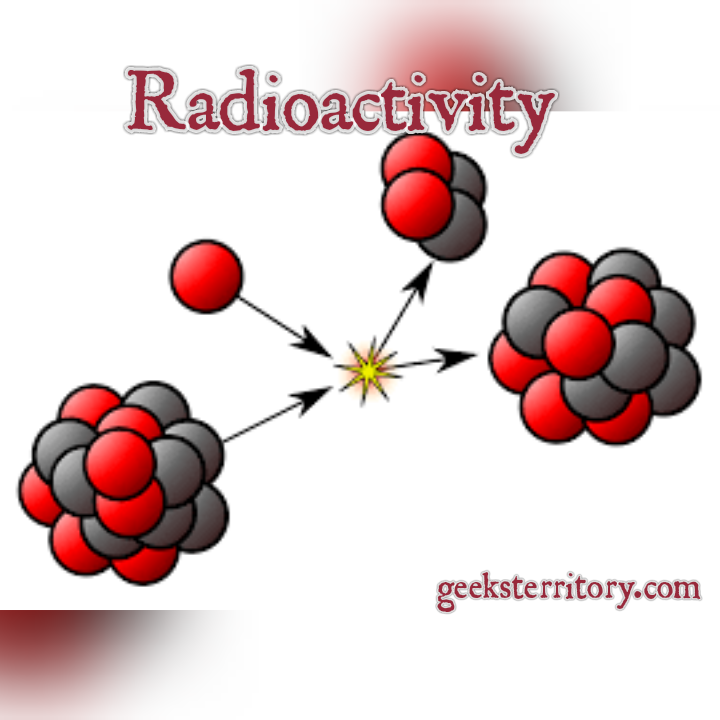 It is a spontaneous emission of radiation from a substance usually an unstable .This process is also known as nuclear or radioactive decay). In the year 1896, Henri Becquerel a French scientist working with phosphorescent materials discovered that a uranium compound placed on a photographic plate which was covered with light black paper causing the plate to be exposed by blackening the pate itself. This implied that some sort of radiation was coming from the uranium which could pass through. The material was radioactive given-off radiation. Other scientists that researched on radioactivity were;v This radioactivity was spontaneous with the radiation being omitted without anything causing it apparently. Beta particles ; whose emission is easily stopped by aluminium sheet of different thickness and are negatively charged. Gamma particles ; whose emission is easily stopped by thick sheet of lead. 1) Alpha rays are deflected by magnetic field. 3) They are relatively massive and so have more momentum and tend to continue in their direction of travel. 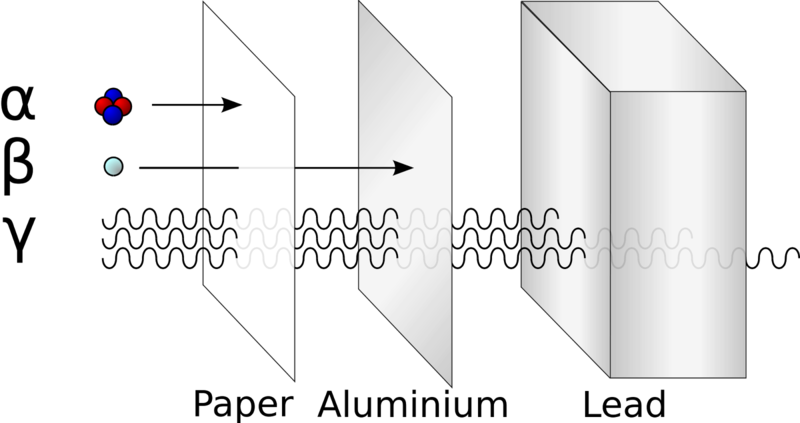 4) Alpha particles are absorbed by paper and air and are easily stopped aluminium thin sheet. 5) They have little penetrating power, travelling no more than 5cm. Being large, it is soon stopped by air molecules. 6) They are capable of stripping electrons from their atoms because alpha particles have comparatively large mass and momentum. 1) There are also deflected by magnetic field but in the opposite direction to alpha particles. 2) The direction of deflection of beta rays shows that they are negatively charged with –e . 3) They are relatively light and as a result easily deflected. 4) They are deflected by different amount showing that they have varying speed..
5) They have good penetrating power of about 1 metre. 6) They can penetrate a few millimetre of aluminium. 7) They produce less ionisation in air than alpha particles. 1) They are electromagnetic waves similar to light wave but of very short wavelength. 2) They are electrically uncharged since they are not deflected by a magnetic field. 3) They are highly penetrative compared to the other two types and can only be stopped by thick lead blocks. 4) They have high penetrating power compared to the other two types. 5) They have much less ionisation than alpha rays. This is defined as amount a material expands or contracts per unit length, per-degree change in temperature. The addition of heat will usually cause expansion of the body. during expansion, the dimension of the body increases. 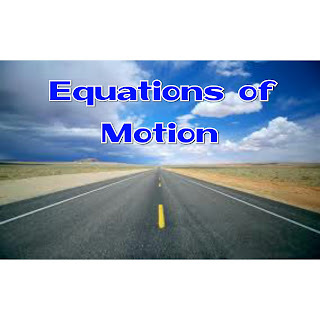 In my last article, The definition and types of Motion were discussed. 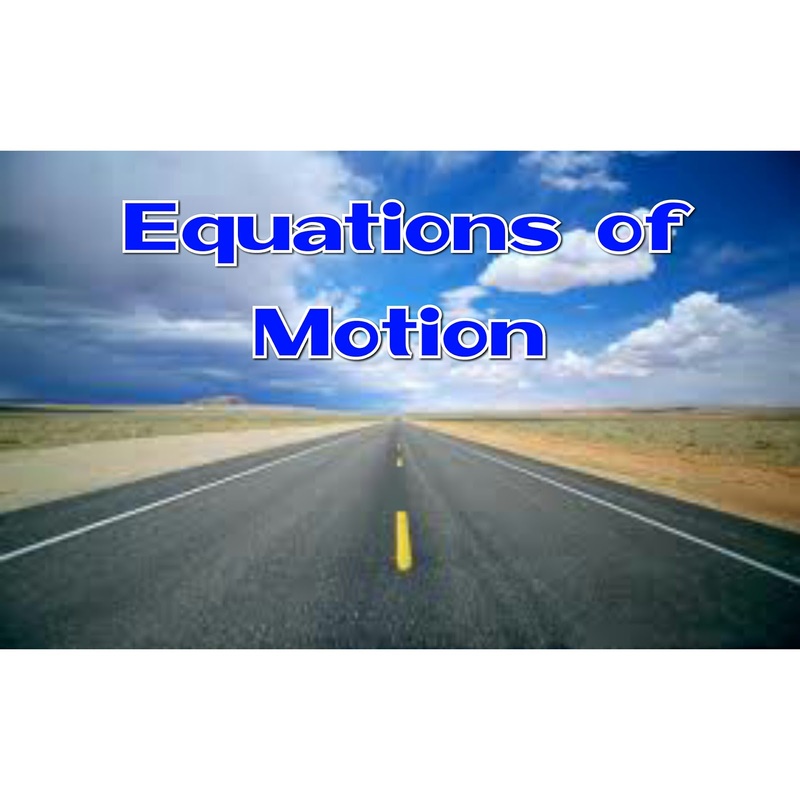 Now this is an article to better understand Equations of motion with several questions solved. Displacement: It is the distance moved in a specified direction. It is a vector quantity. Distance: It is the magnitude of separation between two points. It is a scalar quantity. Speed: It is the rate of change of distance with time. It is a scalar quantity. Velocity: It is the rate of change of displacement with time. It is a vector quantity. READ MORE: On mass and weight, scalar and vector quantities. 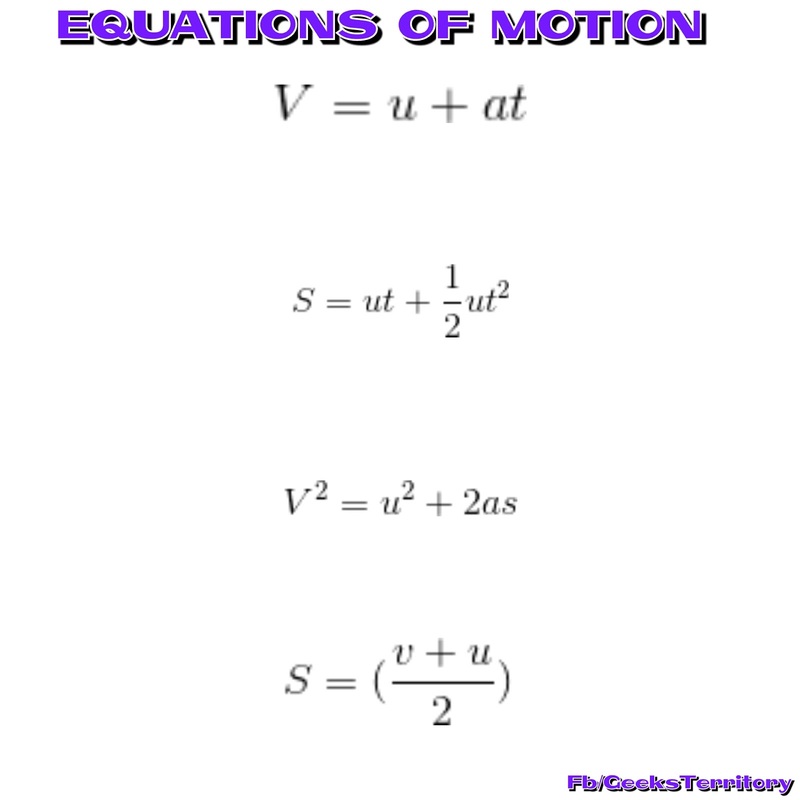 Acceleration: It is the increasing rate of change of velocity with time. It is a vector quantity. Retardation: It is the decreasing rate of change of velocity with time. Make "s" subject of the formula. S =[ (u + at +u)/2]t.
A car travels with a uniform velocity of 30m/s for 5s and then comes to a rest in the next 10s with a uniform deceleration. b) Let, "Stage A" be the period before deceleration. "Stage B" be the period after deceleration. S1= Distance travelled at stage A ? S2 = Distance travelled at stage B ? A bus moves from rest with an initial acceleration of 2m/s^2 for the first 10 s. It then accelerates at a uniform rate of 1m/s^2 for another 15s. It continues at a constant speed for 70s and finally comes to a rest in 20s by a uniform deceleration. From the graph calculate. III) Average retardation as it is brought to rest. IV) Maximum speed attained by the motion. For the last 20s (Retardation or deceleration). 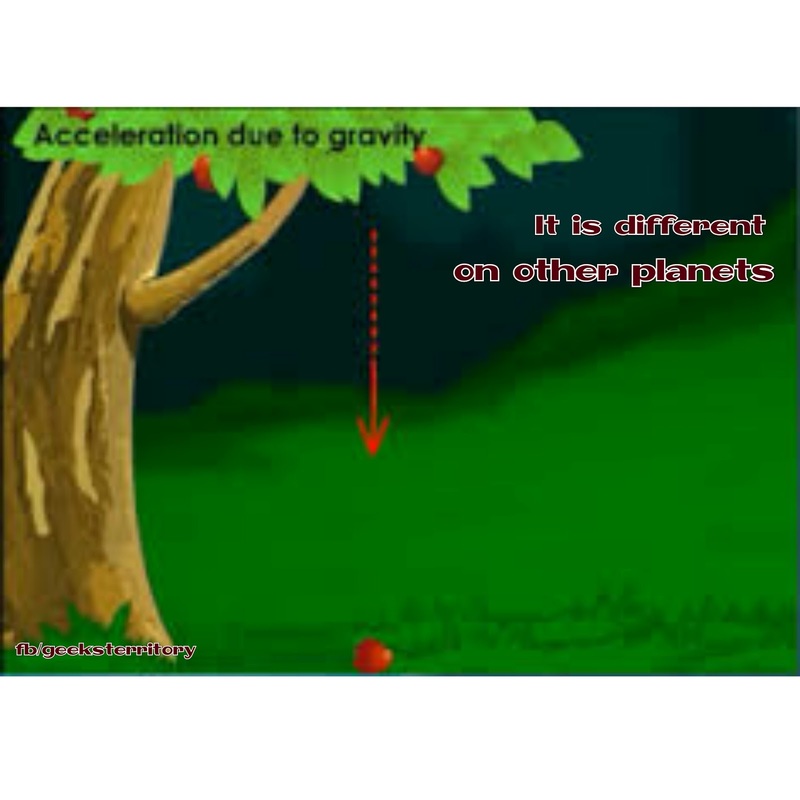 Motion under the influence of gravity is based on acceleration due to gravity(g) of a free falling object and +/- g sign conventions. III) The total time taken for the ball to return to the ground again. 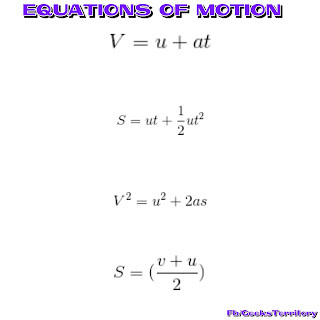 Basic equations of motion was broken down here. If you have any questions, suggestions or feedback write them below. All comments are appreciated. Save this image below for future reference. 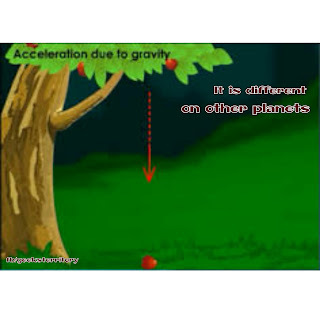 Acceleration due to gravity (g) is known when a free falling object from a certain is attains a final velocity. Then take g=9.81m/s/s because this will give you a more accurate answer.The second decimal place in this numerical value are dependent primarily upon on altitude, that is why g = 9.8m/s/s sometimes. Take it as 9.8 or 10m/s/s if you are given in the question.